Beth Mooney gained peak form for Brisbane Heat in the Women's Big Bash League 2018-19 ahead of their semi-final clash next week, hitting 102 off 55 balls in her team's three-wicket win on Saturday, 12 January. Chasing 172 runs set by Sydney Thunder Women, Mooney's knock, which contained 14 fours and a six, helped them secure a final-over win and a place in the semi-finals. The wicket-keeper bat had not hit her best form in the tournament before this game, having scored just one half-century, an unbeaten 63 that had come in the team's opening game of the season. She went full throttle against the Thunder, hitting a century off just 53 balls that also took her past 400 runs in the tournament. "It was nice to hit a few out of the screws for the first time this season, this is a great batting wicket, with a good atmosphere and thankfully the rain stayed away," she said after the match. Mooney, who turns 25 on Monday, 14 January, had spoken about having "sleepless nights" during her lean run with the bat, wherein she had scores of 14, 44, 6, 18, and 13 in her last five outings. Those were put to rest after her century. "I don’t want to lose any more sleep about my batting or dreaming about my back lift, so it’s obviously nice to finally contribute," she said. "I feel like I haven’t done the best I can do this season, so hopefully that means the best is yet to come for me come finals time." Currently placed fourth on the leading scorers' chart in the tournament with 407 runs at 40.70, Mooney has become the only player in the history of WBBL to score 400 runs in every edition. 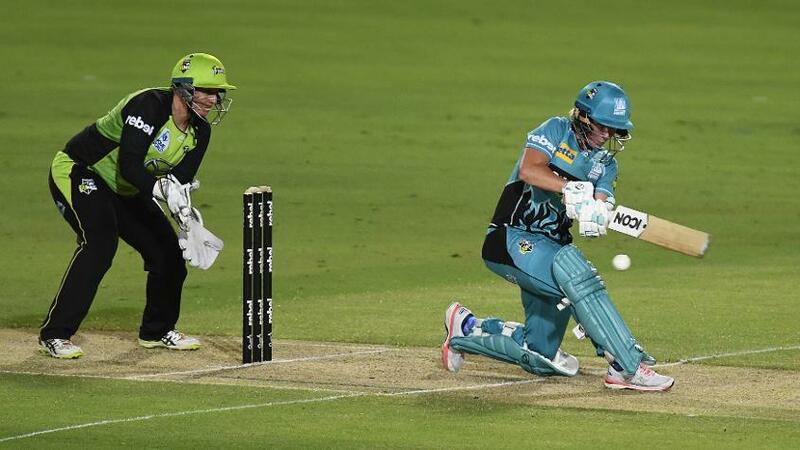 The Heat will now face the Thunder again on Saturday, 19 January in the first semi-final while the Sydney Sixers clash with the Melbourne Renegades in the second on the same date. The final will be played on 26 January. The Thunder are placed second on the points table at the moment and have been one of the stronger teams in the tournament, having won nine of their 14 matches. "They’ve got great batters, bowlers and a real consistency in their line-up," said Mooney of the Thunder, calling them the "form team of the tournament". "I think it was really important to get the win over them coming into finals seeing as we might play them again."